Google Photos , a characteristically Googley attempt to organise your photo collection using machine learning smarts to create an automatic timeline gallery and then tag and sort photos within it at the backend. They’re also offering unlimited free photo backup to induce customers to use the service and thus supply them with yet more image data for future deep learning research purposes. The new digital assistant listens in on your activities and gives you supplemental info like store hours or movie reviews right inside an app or web page. For instance, if a friend texts you with a dinner invite at a new restaurant, you can ask Now on Tap for reviews, hours and other info mid-conversation. It’ll also create reminders on the fly about previous email or text discussions and incorporate detailed Knowledge Graph information. 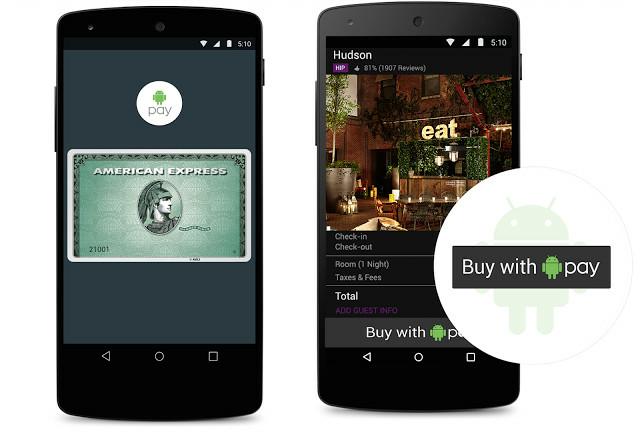 Android Pay represents a further nail in the coffin of NFC-based mobile payment on Android with its emphasis on host-card emulation (HCE) as first among equal solutions. For many OEMs building Android M-based products NFC will now seem little more than a dumb local pipe for HCE with all that entails. Specifically, what is the point of Secure Element in an HCE world? Offline Google maps support will include turn by turn navigation. Build devices quickly and securely, without having to worry about software updates. For other operating systems, just add a compatibility library to connect with Brillo devices over Weave. Google’s Inbox service will be updated with “undo send” support . Despite some earlier suggestions that Google would do a deal with Chinese authorities to bring GMS to China , no formal announcements were made at IO. Cloud Test Lab is a new free automated Android device testing service that should prove invaluable to third party developers. Project Jacquard is a classic Google ATAP (Advanced Technologies and Projects) curve ball – embedded sensors in denim in partnership with Levis. The quick fix for this is simple: encrypt the data on your phone before you get rid of it. (You can find the option at Settings > Security > Encrypt Phone, for any Android version since 3.0.) Adrian Ludwig, the lead engineer for Android security, recommended preemptive disk encryption for anyone giving up their phone.